Early Orthodontic evaluation and treatment is very important to long term oral health. The Canadian Association of Orthodontists recommends that children should see an orthodontist for the first time by the age of 7. 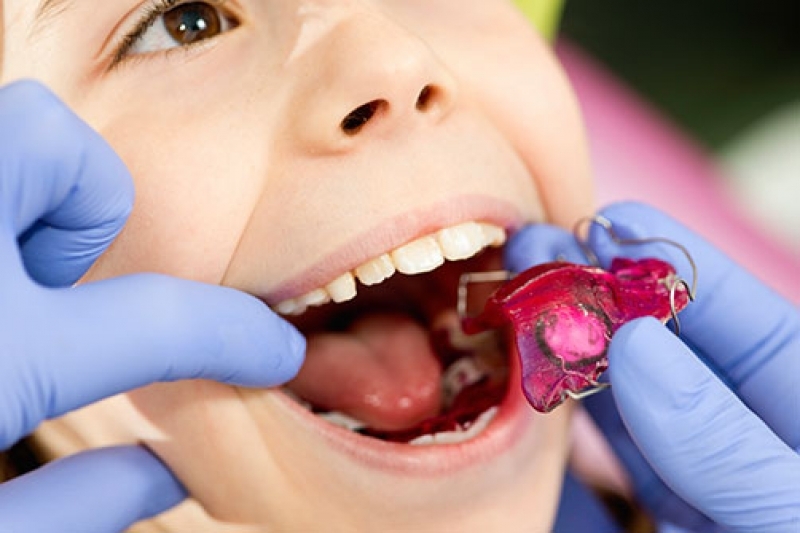 This recommendation is often surprising to parents, and they wonder if there is a point of orthodontics at an age when children still have their baby teeth. Primary teeth are eventually going to fall out, so does it really matter if they’re a little crooked? Shouldn't we just wait to see if there are problems with the permanent teeth? The fact of the matter is, however, that certain orthodontic problems can be evaluated and potentially treated, even at this early age. By the time kids reach the age of 7, the first permanent molars and incisors have already emerged. That makes it possible for the orthodontist to evaluate any developing problems, such as crowding. When these problems are caught early, they can be monitored and treated, which can potentially prevent or lessen more serious problems later on. In certain cases, orthodontic problems can be serious enough that starting treatment when a child still has baby teeth is the best option. If the patient is not ready for treatment at the time the problem is identified, the orthodontist will monitor the development and growth of the jaw and teeth, until the time is right for treatment to begin. 'Early interceptive treatment,' which is a limited form of orthodontic treatment, is what's used when patients are still too young to have all their permanent teeth. Early interceptive treatment normally takes place between the ages of 6 and 10. It makes more space for developing teeth, and corrects underbites, overbites, crossbites, and certain harmful oral habits, such as thumb sucking. Early interceptive treatment is typically done to prepare for full-fledged orthodontic treatment. In the long run, it’s makes later treatment more effective and sometimes faster, too. If you have any questions about children's orthodontics, get in touch with Smile Town Dentistry Langley today – we’d be glad to help!